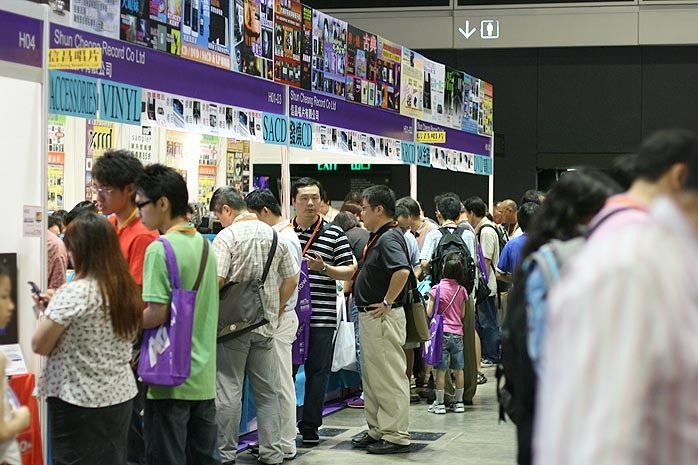 The opening of the annual Hong Kong Hi-End Show on August 10th was hit by Typhoon No.8 in the city at around 3:00PM local time. Traffic was sent into a tailspin as all workers left their offices at the same time to catch whatever transportation was available to get home. The passion of audiophiles was unchallenged by the typhoon, however. The show simply went on. 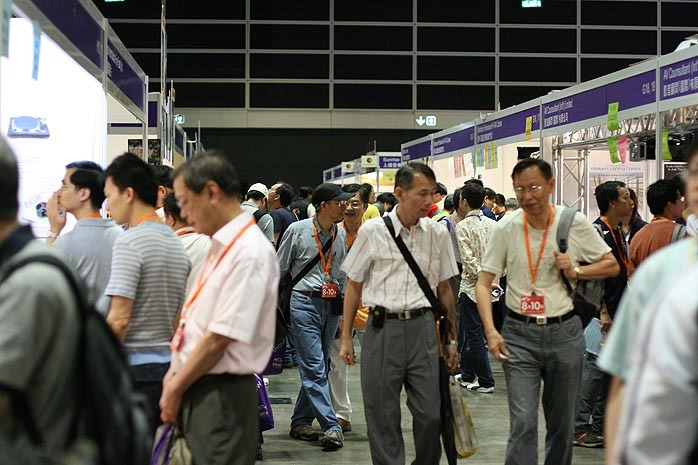 The stream of people pouring into the exhibition center after 4:00PM was seemingly increasing. Well, the entire city had half a day off. There were a number of key new product launches at this show. 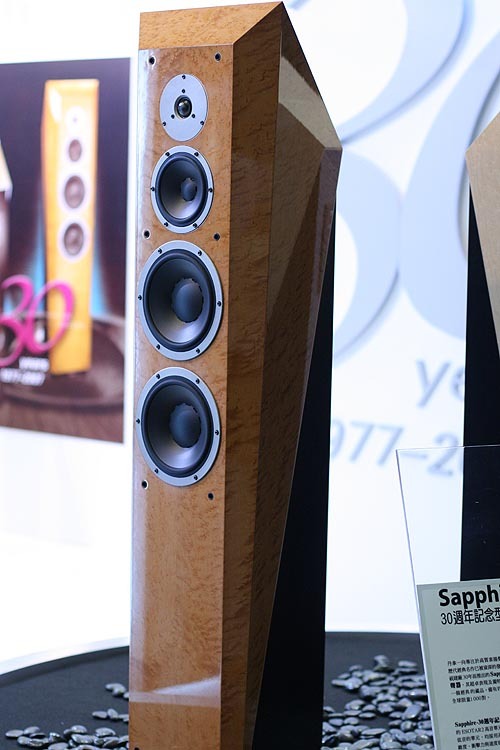 Dynaudio exhibited their 30th Anniversary speaker model called the Sapphire. 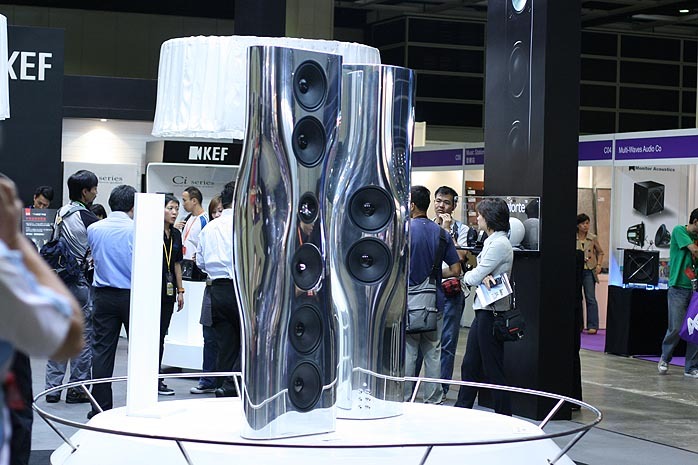 KEF showed off their new flagship Moun milled entirely from solid aluminum. 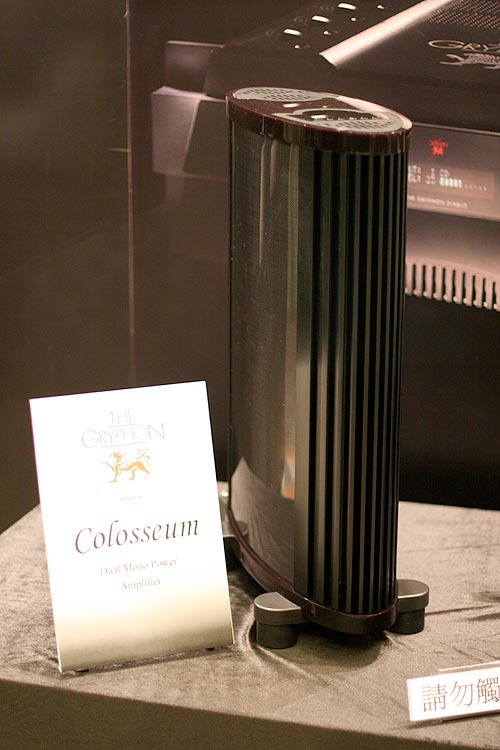 Gryphon displayed a very cool-looking power amplifier called the Colosseum to mate with their Mirage preamp. 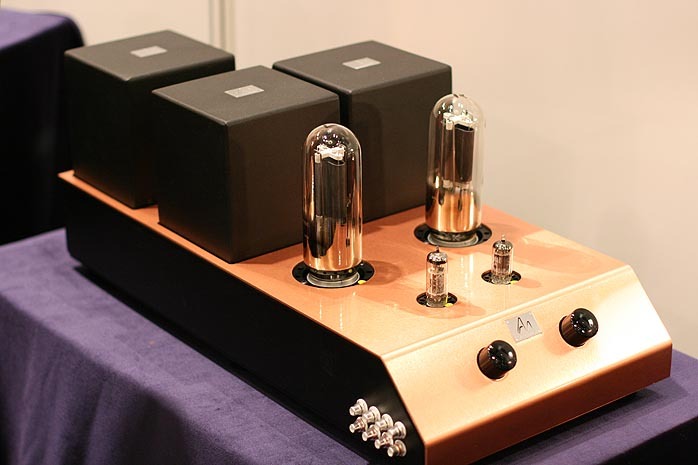 AudioNote UK presented their own version of the Ongaku ($80,000) using 211 tubes from GE. The size of the chassis is much larger than Kondo's original version. 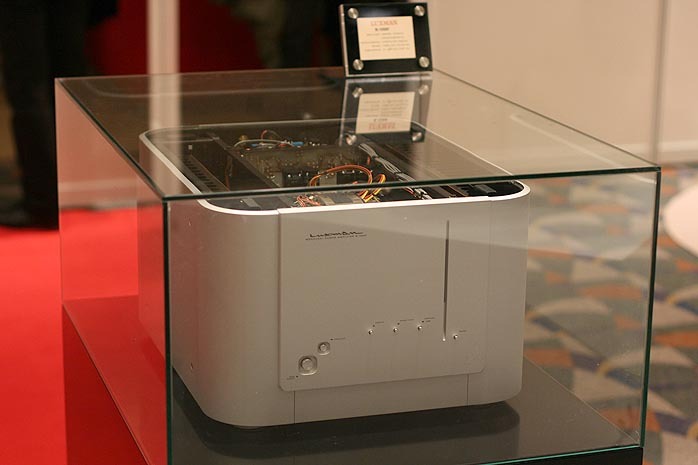 Burmester displayed what could be the most expensive CD player ever, code-named 069 with a suggested retail price of around Euro 68,000. 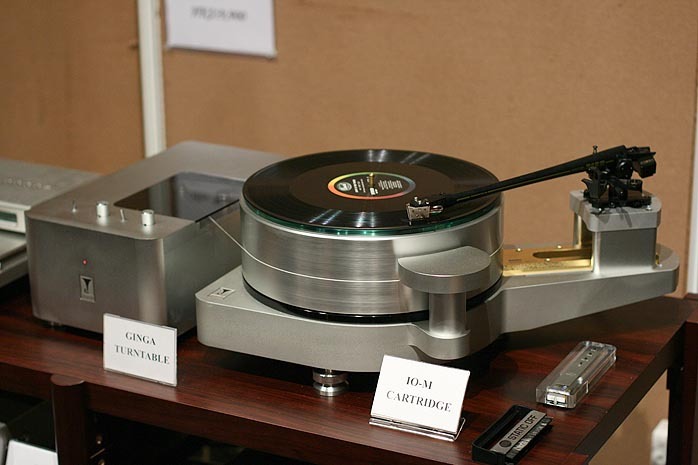 Then there was the Transrotor Artus turntable at ca. $200,000. 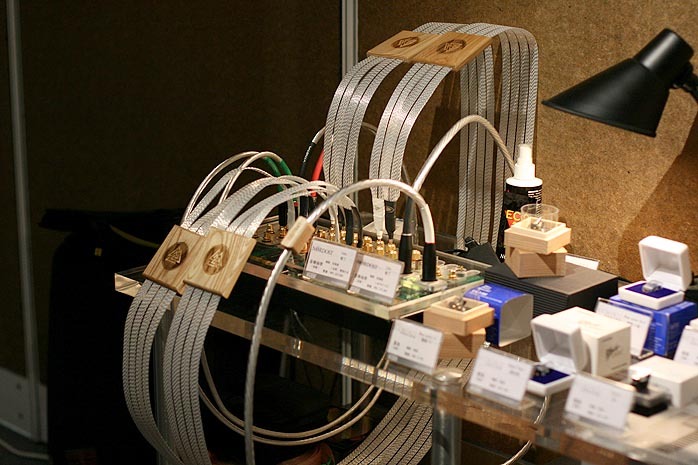 Last but not least Nordost's latest reference Odin Reference cable ($16,000/1m/pr interconnect) that eclipses their famous Valhalla Reference. Unfortunately, all of these were on passive display only during the 1st day of the show when I came by. The MBL room was full of attendees just like last year. 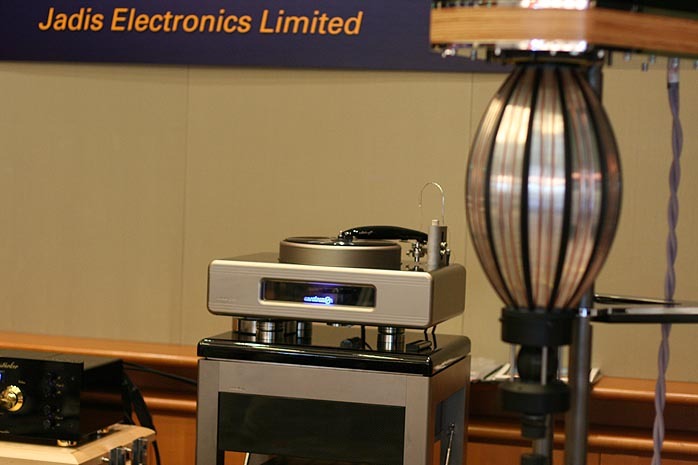 Many came to audition the new flagship speakers called 101 Extreme alongside the megabuck Caliburn turntable from Continuum Labs of Australia. I then moved on to visit another room with the somewhat more affordable Criterion turntable from the same manufacturer mated with a Boulder 2008 phono stage and Wilson Audio Watt System 8 speakers. The sound was in general lively, fast and with good imaging. 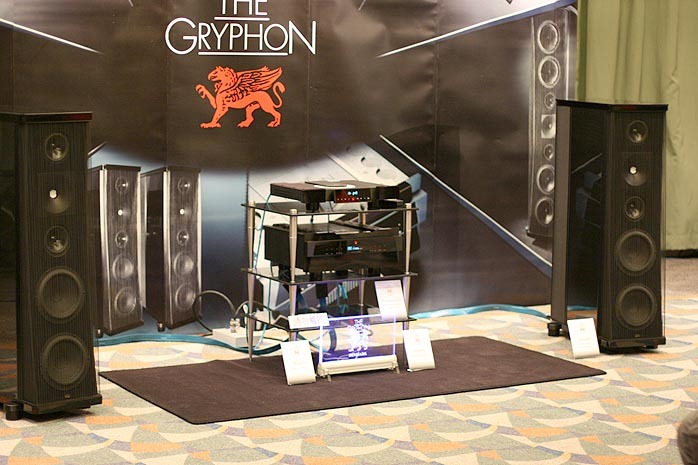 The Gryphon room was showing a new pair of speakers called the Atlantis, a direct descendant of the bigger Trident. 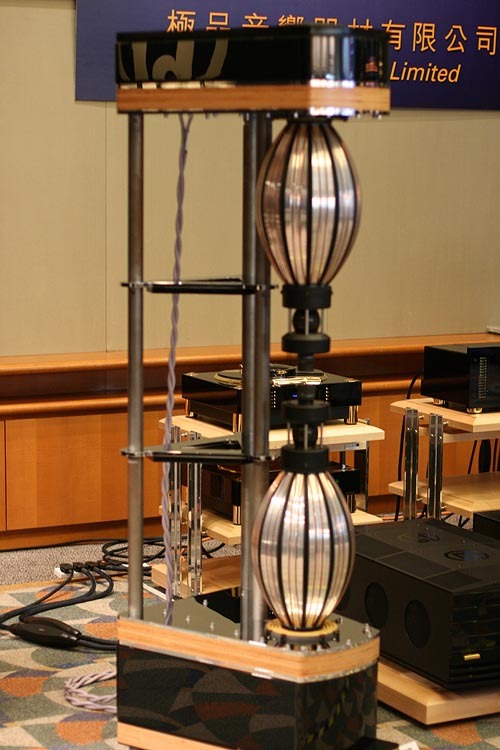 They were driven by an integrated power amplifier called the Diabolo. 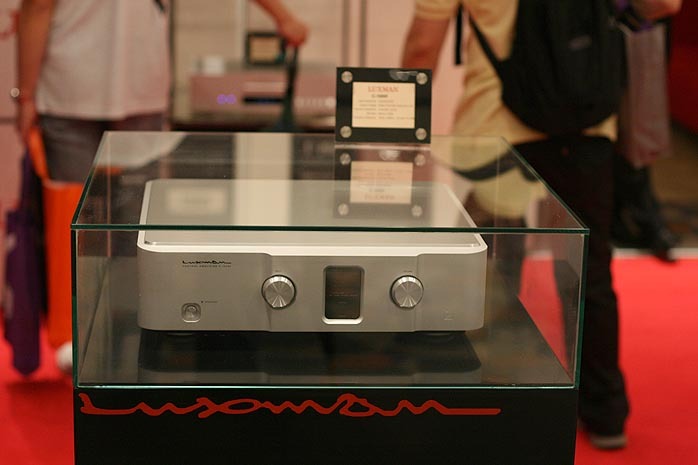 This amplifier had very good control over the speaker. Attack of the lower midbass was fast without sacrificing weight. The midrange was rich and yet resolved. Male vocals had convincing presence. 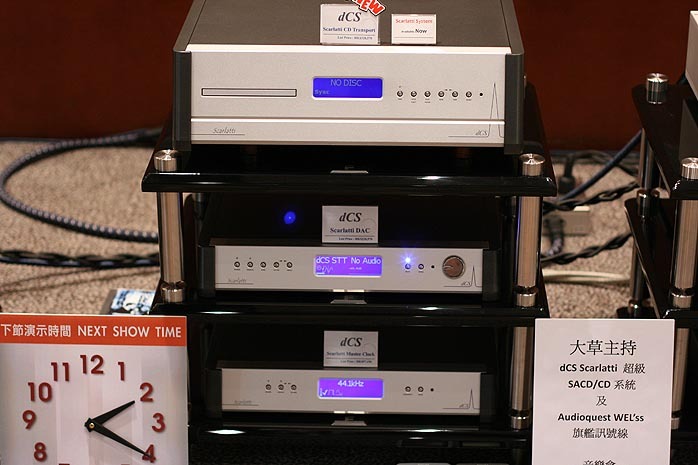 Kondo Japan had redesigned the ca. 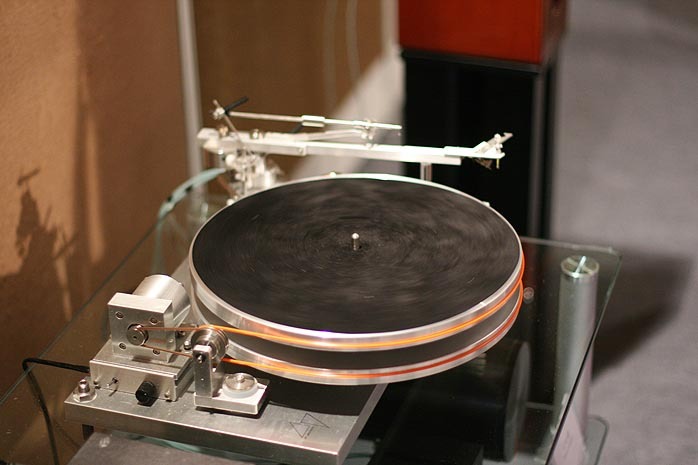 $50,000Ginza turntable substantially for this year. Surprisingly, there was a glass mat atop the platter unlike the copper plate of last year. I was told that the combination of steel, aluminum and glass yields the best sound. 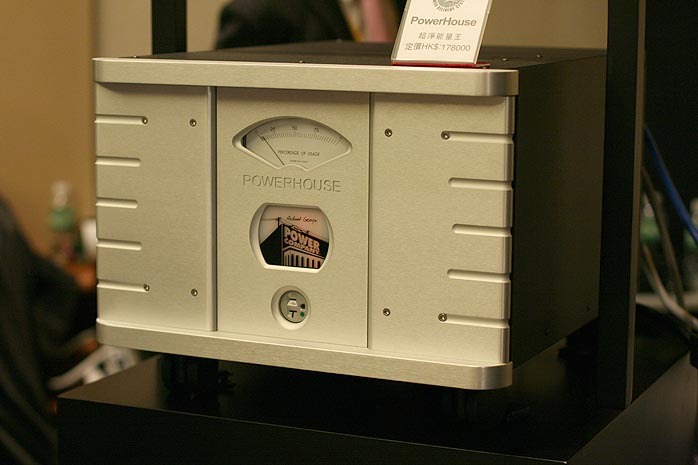 The rest of the components chain included the M7 phono stage, the M1000 Mark 2 line stage and Kondo-San's original Ongaku. Another interesting item in this room was the new Koma turntable with stacked, opposite rotating platters from 47 Laboratory. The sound of the Densen room was fairly good too. 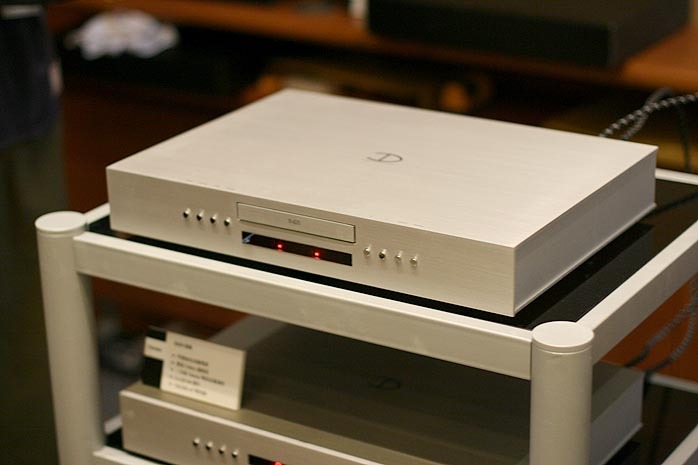 All Densen electronics look very neat, with clean lines and slim enclosures made from brushed aluminum. The whole system sounded clean and mellow. The price of these electronics was affordable to boot, making me especially curious about their B420 CD player. 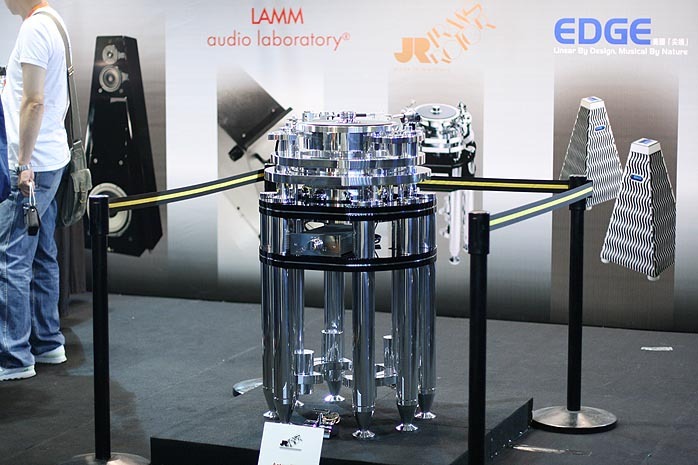 the enormous $22,800 Power House isolation transformer from Richard Grey's Power Company, the Statement turntable from Clear Audio, the Work of Art turntable from Basis, Siltech's Pantheon speakers and more. I observed a few trends. 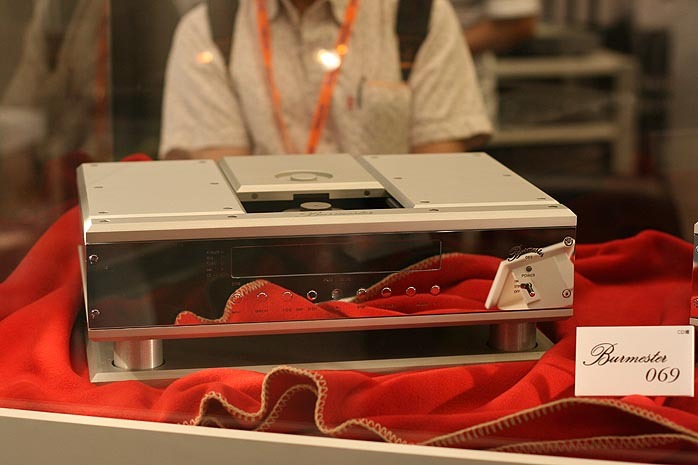 First, there were more turntables on either demo or silent display. 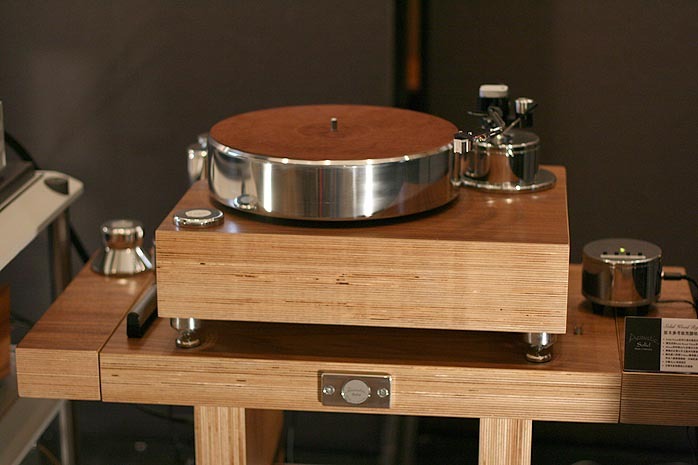 Flagship turntables demand as much as a solid down payment for a Hong Kong flat. The revival of LP interest seems ongoing. Second, manufacturers continue to introduce ultra-expensive digital, with Burmester arguably leading the pack with the new 069 CD player. 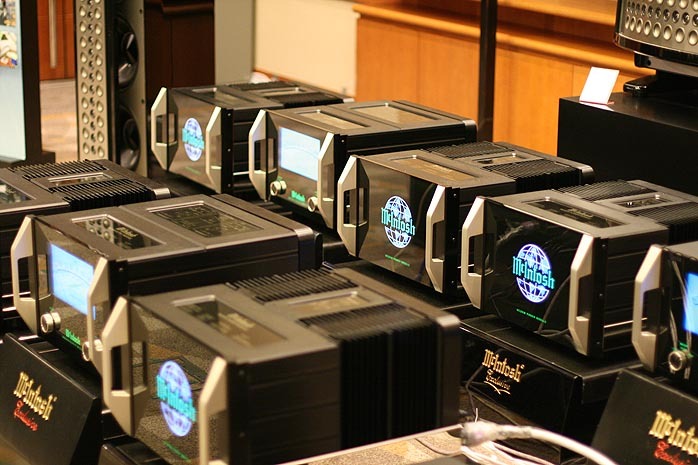 Third, quite a few household names in audio were introducing Anniversary models not only to showcase their technical competence but also to fortify brand recognition in a cut-throat competitive market. 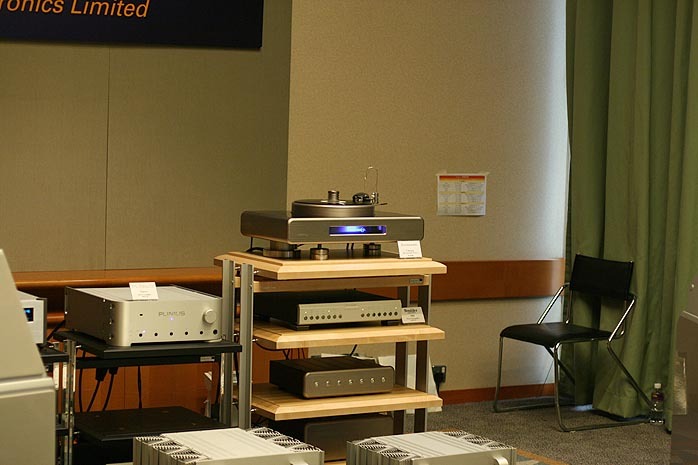 Fourth, the camp of SET electronics and high-efficiency speakers seemed under-represented. Interest in 2-channel audio clearly isn't dead though it would be hard to argue that it is growing as rapidly as the iPod and MP4 player segment. Some manufacturers continue to develop cost-no-object audio products while audio equipment from China at very low entry pricing with reasonable sound quality is gaining more attention and acceptance. Let's hope these competitive forces will result in even finer audio products in 2008.